Hi Itamar. I work with HolacracyOne and your article caught my eye. Great review, thank you! 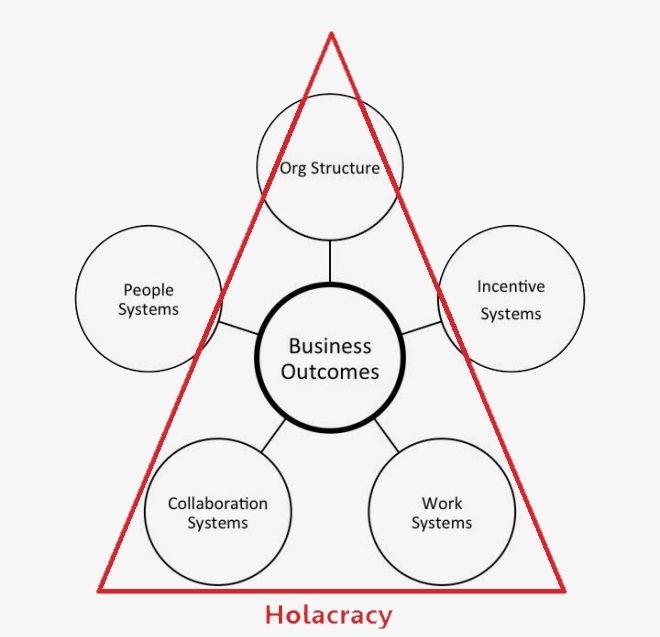 I want to clarify that far from us to “call Holacracy done” without key business apps — in fact, it’s now one of our main focus to develop a suite of ‘apps’ that can replace key business process like compensation, hiring/firing, etc. I think they will still stay at the level of ‘apps’, versus being incorporated in the Holacracy constitution, but they should equally address this gap that you’re rightly sensing. 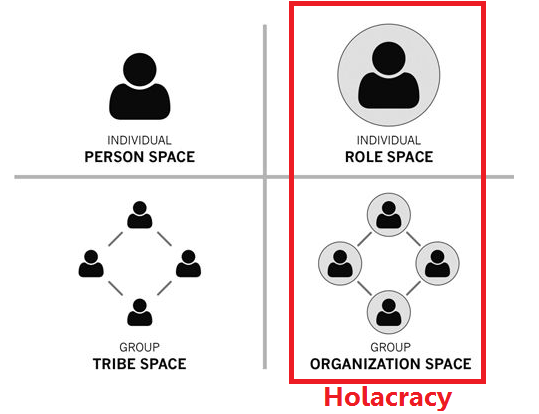 Holacracy makes a concerted effort to create as much separation as possible between the “human” and the “organization”. Under that paradigm, it makes sense to group HR processes in the same bucket as other business processes (like procurement, planning, vendor mgmt, etc.) and call them apps that sit on top of the Operating System. I believe that trying to create such aggressive decoupling is fundamentally flawed. The fact that the organization consists of humans rather than machines dramatically impacts the way the organization functions. Rather than trying to make the organization as machine-like as possible, the Operating System must account for that attribute of the system or risk sub-optimal performance at best or a sever case of transplant rejection (to use a more human metaphor) at worst. If you can spare an hour, check out this talk by Jabe Bloom: https://www.youtube.com/watch?v=cA_c6Xo806g I think it does a better job articulating my perspective than me. I like where they drew the line, people systems and incentive systems are the most likely to be affected by regional legal requirements. Putting people systems and incentive systems into the core of Holacracy (the constitution) would be like embedding a photo editor in the linux kernel. I believe the legal requirements put some constrains on these systems, but there’s a large enough shared core that’s not impacted, specifically around the parts that matter the most. >The debate, however, is deeper than that. The “Operating System” metaphor breaks down when you take it one level further and view organizations as computers. You brought up software, I just ran with it. About your broader post, I have read similar arguments before, Steve Denning was complaining about not seeing “The Customer” in the core of Holacracy. It seems that when people read about the separation between the core OS (the constitution) and Apps (governance output) and something they believe is important is in the application layer they get all bent out of shape. It is as if being or not being in the core is an indicator of importance. Both are vital to a successful implementation.